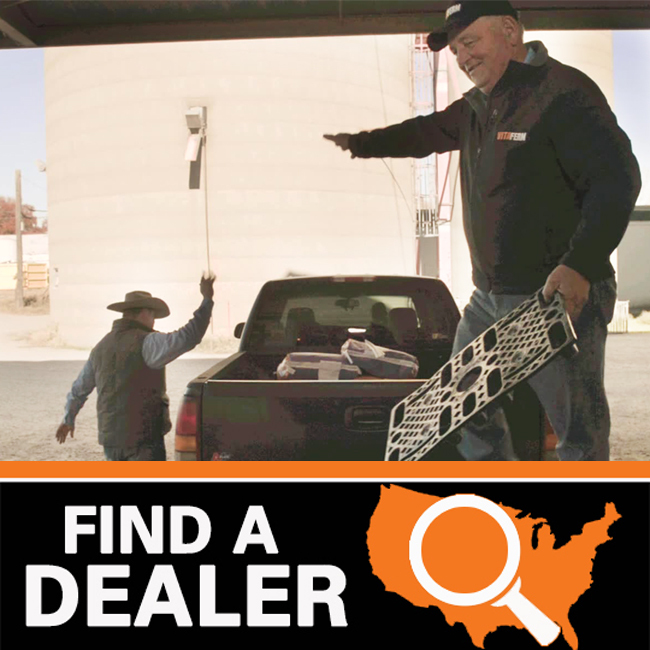 Heat stress impacts the performance of cattle with millions of dollars of annual economic losses. 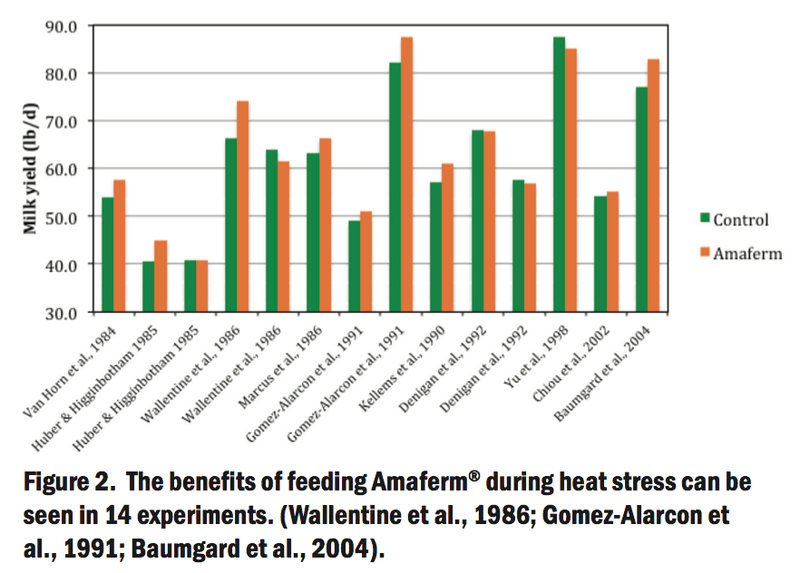 Animal responses to heat stress include reduced dry matter intake, decreased average daily gain, decreased milk yield, and decreased fertility and poor reproduction. 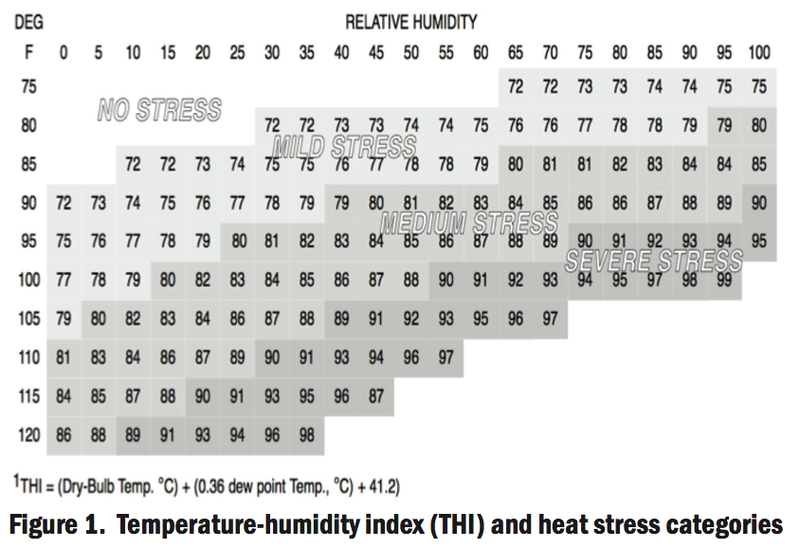 As Figure 1 reflects, the degree of heat stress is commonly estimated by temperature-humidity indexes. It is also hypothesized that the minimum threshold where animals begin experiencing heat stress is a function of the production level of the animal. For example, in growing steers the threshold is considered to be a THI of 84, whereas in a high producing lactating dairy cow the threshold will be considerably lower, starting at a THI of 70. At the same ambient temperature, a higher-producing dairy cow will have to dissipate more heat to the environment than a lower-producing cow of the same size. If you have questions about heat stress in cattle please email support@biozymeinc.com and we’ll put you in touch with one of our nutritionists. Also, be sure to check out our newest mineral, VitaFerm Heat specifically designed to help you combat summer heat stress and the effects of fescue pastures.